Talks, Workshops, Interviews, Articles and Mentions (audio & video) – Trust the Loving Universe! “Transformation Through Trust” with guest AumRak Sapper, Maya wisdom carrier. Video 1 hr. ARISE Music Festival August 4, 2018. “The Power of Love. Accessing the Trust Frequency. Indigenous Cosmology Meets Quantum Science.” Video 1/12 hrs. Tribalize Summit lll. Sunrise Ranch, CO July 8, 2018. Experiential. “Transformation through Trust. Healing the Split in our Psyches. Moving from Victim to Beloved.” Video 1 1/2 hrs. Workshop 2 hours. Sunrise Ranch, CO August 11, 2017. Experiential. January 3, 2019 with Anuk Baldeagle, Sally Ranney, Andrew and Connie. 1:45 YouTube. “Climate Change Solution: The Trust Frequency. 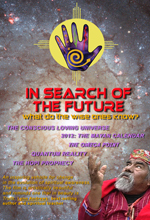 Indigenous Cosmology Meets Quantum Science” Parliament of the World’s Religions. Toronto November 4, 2018. Video 1 1/2 hrs. With Kevin Deer, Sally Ranney, Andrew and Connie. Miranda Clendening moderator. Click individual names for their piece of the presentation. “Liberty, Justice, Abundance for All. It’s up to US. 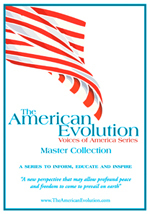 The History and Future of the United States.” Connie Baxter Marlow and Barbara Marx Hubbard. Video. Sunrise Ranch July 1, 2018. 17 minutes. “The Conscious Loving Abundant Universe and Humanity’s Place in It” Sunrise Ranch March 8, 2017. 1 hour. “Consciousness Creates Reality with Ivan Tse Opening Remarks” Global Friends Symposium on Chinese/American Collaboration for Climate Action “Towards an Ecological Civilization.” The Asia Society, NYC. October 20, 2016. 14 minutes. “Paradox Resolved: Healing the Split in the Human Psyche.” 2016 ISSSEEM Conference. Unity Village, MO. September 23, 2016. 1h talk. 30 min Q & A. “Thoreau, The Pope and The Indian. A Shared Vision.” Multi-media. Thoreau Society Annual Gathering. Concord, MA July 6-10, 2016. 1 hour. 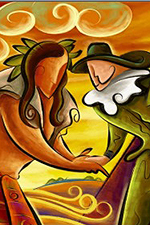 “America’s Forgotten Origin Story: A Time of Synthesis” Maryland Mayflower Society Compact Day Dinner November 22, 2015 45 min. Change Your Assumptions and the World Changes with You. Aspen Chapel Wellness Program, Aspen, CO September 28, 2015 – 1 1/2 hour w Q&A. “THE TRUST FREQUENCY: Indigenous Cosmology meets Quantum Science” Institute of Noetic Sciences Conference Spotlight. Chicago July 26, 2015 – 20 minutes. “Mystical Man, Mystical Mountain: Thoreau, Katahdin and the Transformation of Consciousness” Thoreau Society Annual Gathering, Concord, MA July 12, 2015 – 1 hour w Q&A. “Healing the Split in the Human Psyche” Unity Village Chapel (Unity Headquarters) June 14, 2015 20 minutes. To view on The Trust Frequency YouTube Channel Click HERE. The Trust Frequency, First Thanksgiving, First Fifty Years and Indigenous Cosmology Expanding Awareness Radio with Victor Venckus. WZBC Boston. Three Interviews Fall 2014. YouTube. “Martin Luther King’s Vision: What Will it Take?” January 21, 2013 Woody Creek Community Center YouTube. 50 minutes. Earth Day 2016 with Nathan Crane .“Joining the Earth’s Ascendance into Abundance: Accessing the Trust Frequency” April 22, 2016. 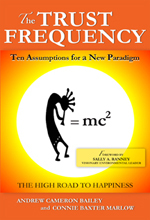 Exploring The Trust Frequency with Sunny Chayes on MindaliaTV for The World Dignity Forum. January 17, 2019 1 hour. Conscious Business Zone FB Live with Kathy Mason. The Trust Frequency and Top-Line Economics December 11, 2018 YouTube 1/2 hour. 1 hr including call in questions. YouTube. Prophecy Keeperz Interview 7.19.15 (edited) on Sound Cloud. “Challenge your assumptions of Reality” Soulstream with Rev Kristin Powell. Unity Online Radio. “Do you Trust that a Loving Universe has your Back?” Interview with Dr. Julie Krull. The Dr. Julie Show 1.17.14. Living Dialogues: “Bridging Indigenous and Modern Cultures” Interviewed by Duncan Campbell. March 10, 2013 1/2 hour. Accessing the Trust Frequency Interview with Surya Kramer at C.A.S.T. Calling All Societal Truths. 2010. 25 minutes. Exploring The Trust Frequency. Grassroots TV Aspen, Colorado July 2017. Interviewed by Hinton Harrison on “Lifestyles of the Poor and Unknown. “The Changing Paradigm” Connie Baxter Marlow with Dr. Patricia Hill. Grassroots Television, Aspen, CO Late 90s.